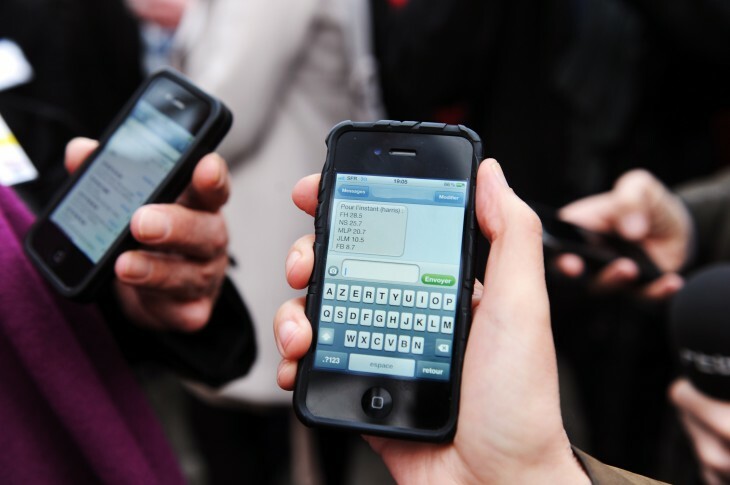 Celly, the mobile platform that allows anyone to create “emergent social networks” accessible from their phone or tablet, has raised $1.4 million in funding led by the Oregon Angel Fund (OAF). In addition, Upstart Labs, the Portland Seed Fund, and various other investors have joined the round. To complement the news, the company has also announced the release of its iPhone app to give more users access to its offering. Based on what it calls a decentralized architecture, Celly says it is designed to provide instant, flexible, and scalable communications between people and groups, whether they’re family, schools, or other communities. The company was founded in 2011 by Greg Passmore and Russell Okamoto, two former GemStone Systems employees, and has since launched 20,000 social networks. Current customers include the City of Portland, volunteer groups for Hurricane Sandy, public school districts, and hospitals. Seeking to capitalize on the emergent group segment — that is, a set of people that tend to arise spontaneously and combine to form interdependent networks — Celly offers them the ability to create “cells” that can be joined in seconds. From that point, cells can follow messages from other cells to form networks, keeping private data secure while enabling teamwork across the vast organization. The company says that the emergent phenomenon is a common one — found when students in a classroom are organized, neighbors gather together, departments form in a business, or activists assemble at a rally. Each cell can grow to any size while also maintaining coherent group discussions. They each have moderators to help keep conversations on-topic and free of any noise, oversharing and unwanted conversation. Already having an Android version available, Celly now has an iPhone counterpart. The free app lets anyone create their own cells, either with one click or by texting the proposed cell name to 23559 (this option is only available in the US). It offers several features just like on Android devices, including group messaging curation, privacy controls, no group size limits, polling, and more. 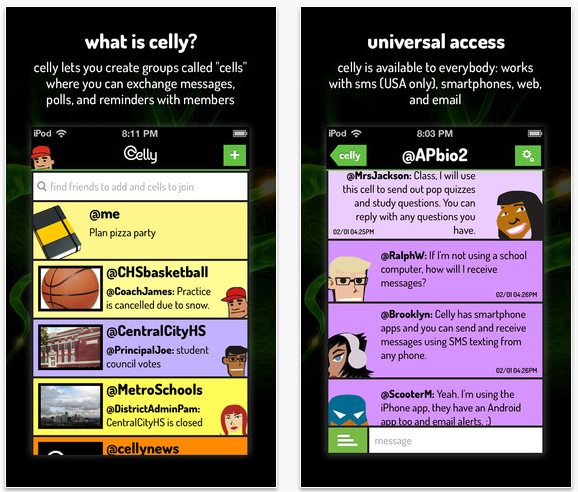 Starting today, Celly says that both its Android and iPhone apps can be used outside the US. Celly is indeed facing some uphill battles facing services like TextPlus and GroupMe, two incumbents who have made a name for themselves in messaging and with mobile social networks.